Blog Quick Quotes: Card Inspiration with Dorlene! Hi there. 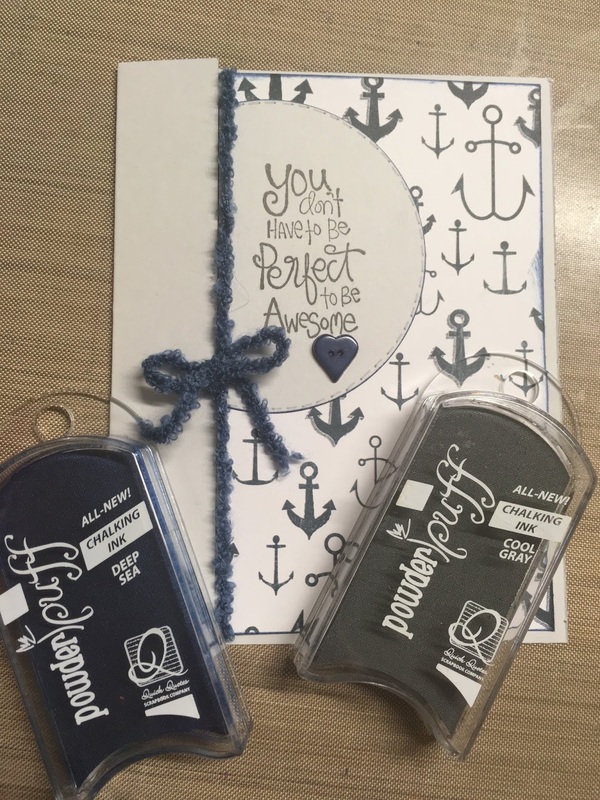 Dorlene here to share the results of my card making spree this week. 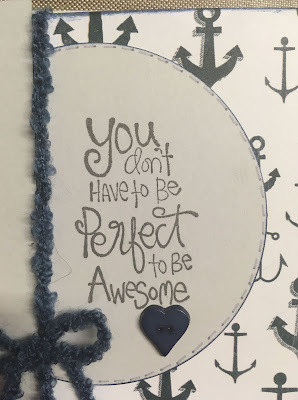 Below are two cards that I am sharing today. 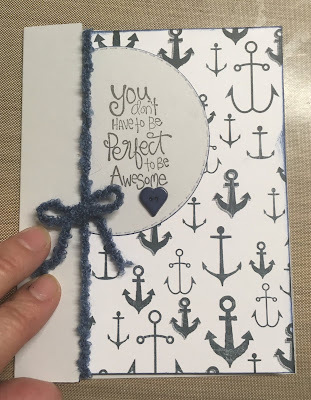 "You Don't Have to Be Perfect"
What I love about this card is that it shows off both sides of a double sided patterned paper. I used Anchors Aweigh 108 for this card as I wanted to make a masculine themed card. 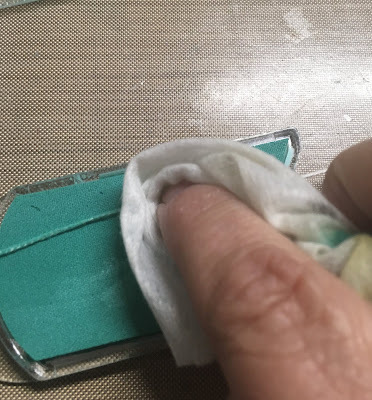 Cut your cardstock at 5 1/2 x 5 1/4" and score at 1" on the 5 1/4" side. 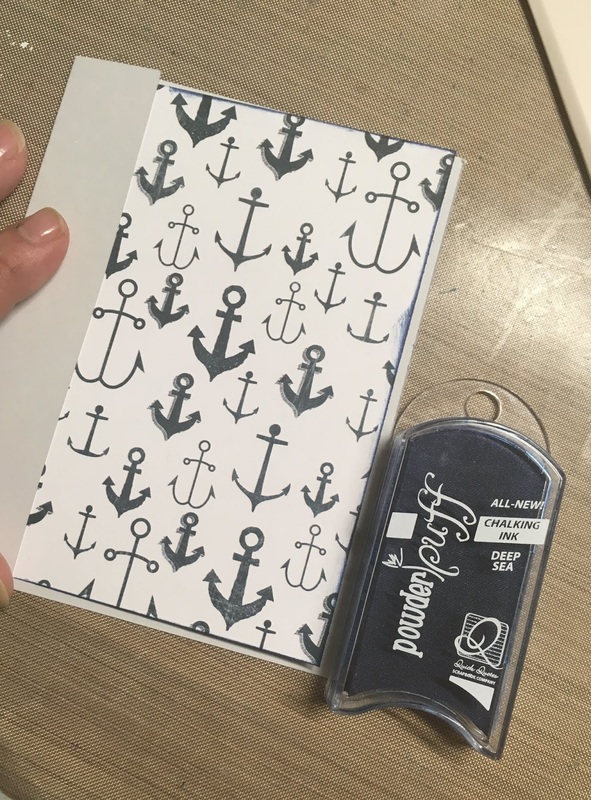 The patterned paper is cut at 4 x 5 1/4". Ink all edges with Deep Sea PowderPuff Chalk Ink on both sides. Adhere the patterned paper to the 1" tab and that completes the card base. 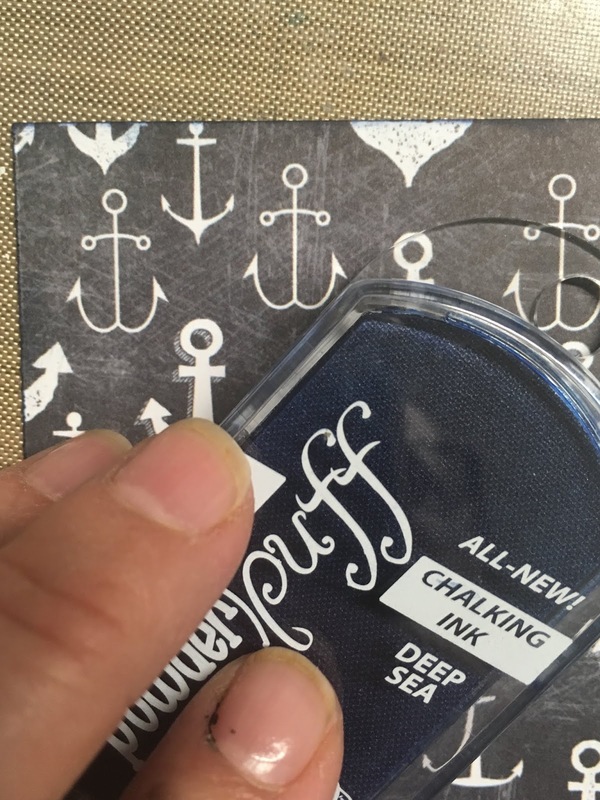 Then, inked the punched circle with Deep Sea PowderPuff Chalk Ink and added faux stitches with a gray marker. To embellish the card, I added some blue fiber and a blue heart button. 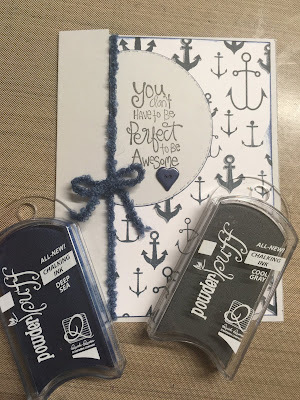 Sentiment by Unity Stamp Co. The next card was made by punching squares for a patchwork effect using papers from the Spring Showers Paper Pack. I adhered the squares on a piece of cardstock for placement only. 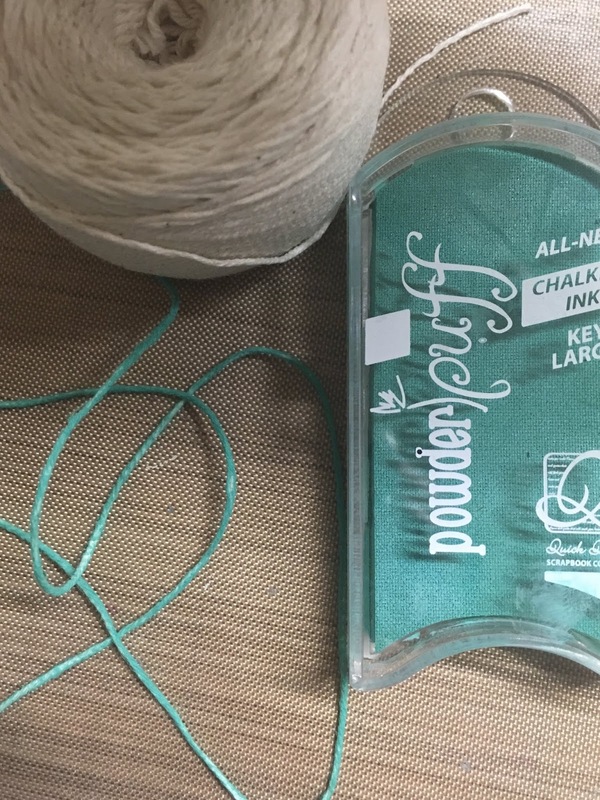 Once I cut out the size I wanted for the card, I inked all edges with Key Largo PowerPuff Chalk Ink. Then I did something pretty cool! 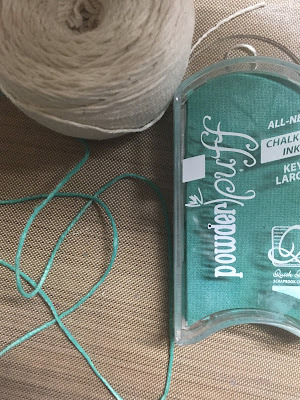 I couldn't find a ribbon/twine/fiber with a color that coordinated so I inked a long length of white string with the Key Largo PowderPuff Chalk Ink pad - so cool! I applied it twice to get the full coverage I desired, and wow! This opens up lots of new opportunities! 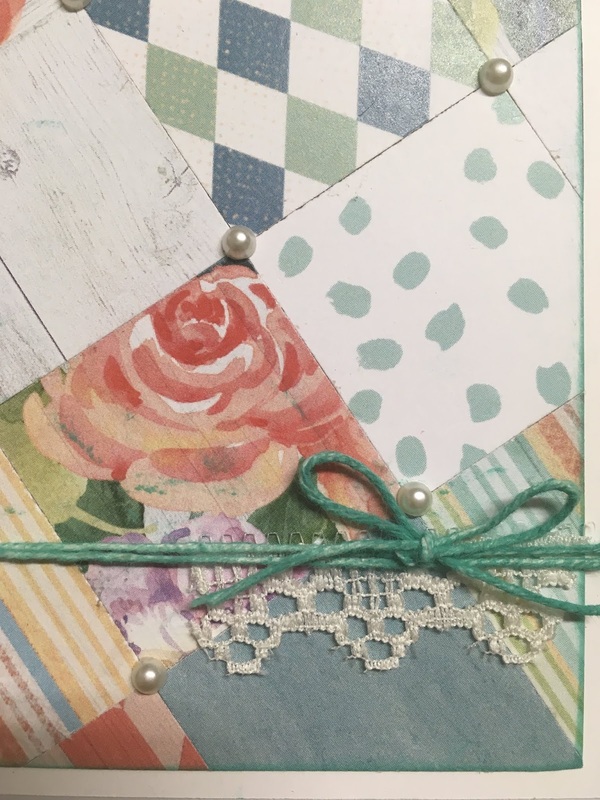 I added flat back pearls to each intersecting corner, a bit of lace under the string and done. 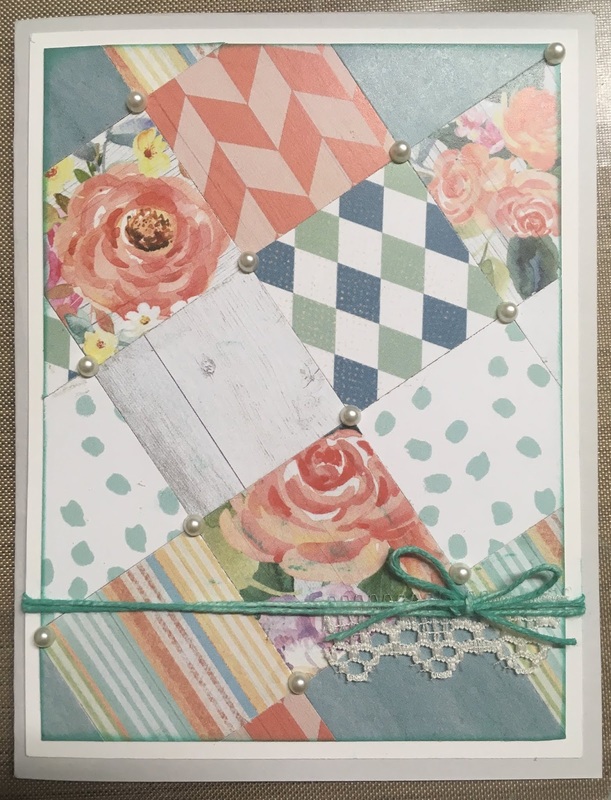 I hope these two card creations inspire you to create a fun and different card soon! 12/7 - 12/29 - Holiday Celebrations!